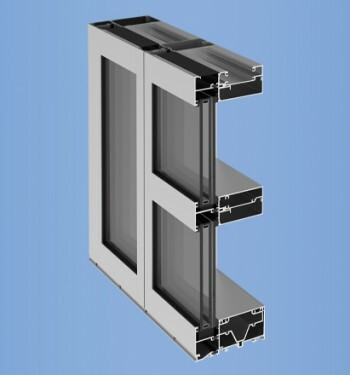 YHC 300 SSG (Structural Silicone Glazed) Cassette is a high performance curtain wall system designed and tested to meet the most demanding conditions. With varied infill and components, YHC 300 SSG Cassette can meet the requirements for Impact Resistance. YHC 300 SSG Cassette is a 4-side structural silicone glazed system designed for hurricane impact resistance, blast mitigation or both. Framing is stick built in the field. 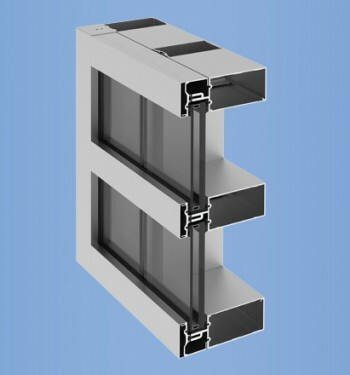 Shop glazed cassettes interlock with integral adapters on the horizontals to create full width engagement top and bottom. 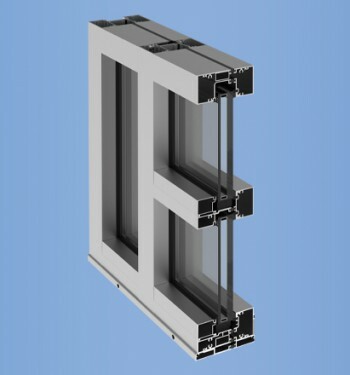 Vertical sides are toggled to the mullions to complete the mechanical attachment in the field. Mullion Depth: Using Monolithic Glass Infill: 7-1/16" │ Using Insulating Glass Infill: 7-3/4"
YHC 300 SSG (Structural Silicone Glazed) is a high performance curtain wall system designed and tested to meet the most demanding conditions. With varied infill and components, YHC 300 SSG can meet the requirements for Impact Resistance, Blast Mitigation or both. YHS 50 TU is a high performance storefront system designed for insulating glass 1" to 1-5/16" thick and tested to meet the most demanding conditions. The YHW 60 TU is a thermally broken, unitized, hurricane impact-resistant system that builds on YKK AP’s line of versatile wall solutions for mixed use buildings.